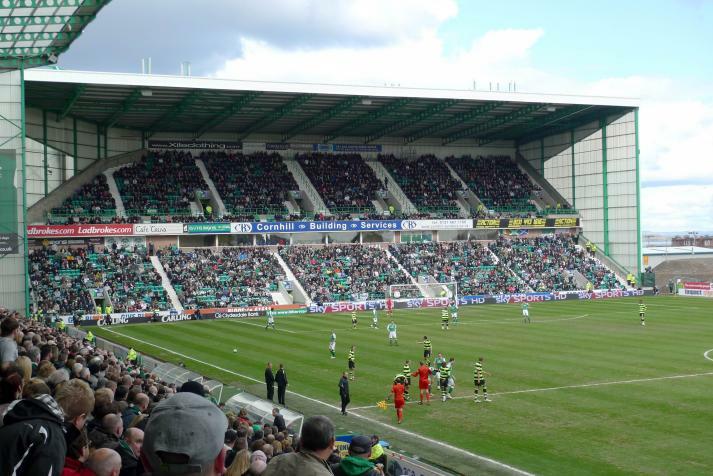 The only matches in England on Easter Sunday were at grounds I had already visited so instead I looked northwards and found Hibernian vs Celtic. 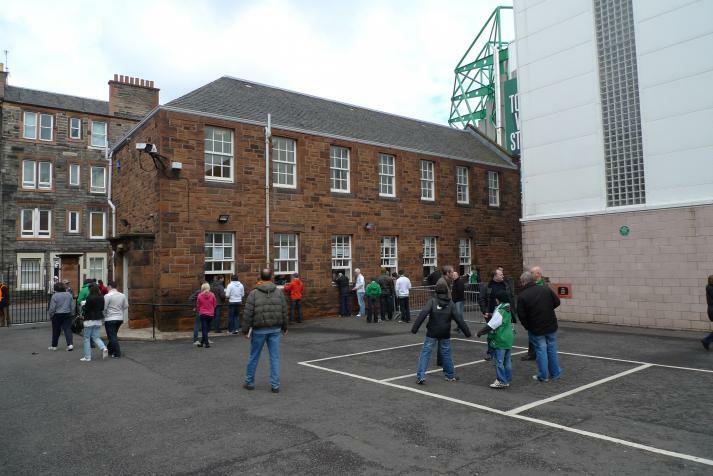 The match was category A meaning you have to be on the Hibs database (which I wasn't) to be allowed to buy a ticket. I phoned the ticket office anyway and to my delight I was given special permission to buy a ticket, sometimes being from Sweden actually is an advantage! Travelling by train from Newcastle to Edinburgh give you some great views, espacially around Berwick where the railway line is very close to the sea. 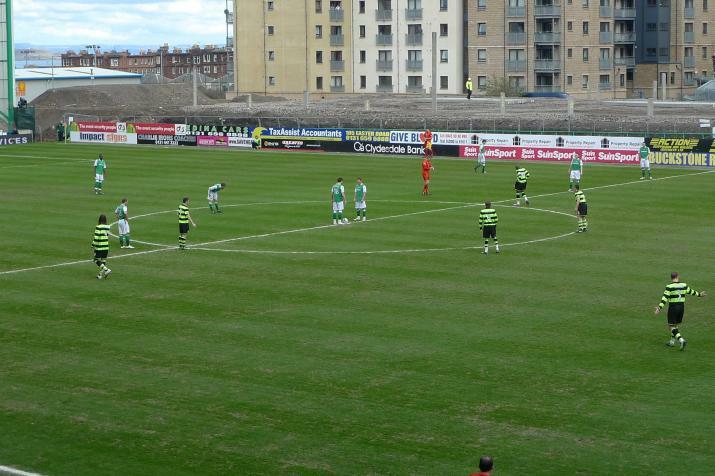 This was to be my first ever match in Scotland and fittingly for a game during Easter it was at Easter Road. 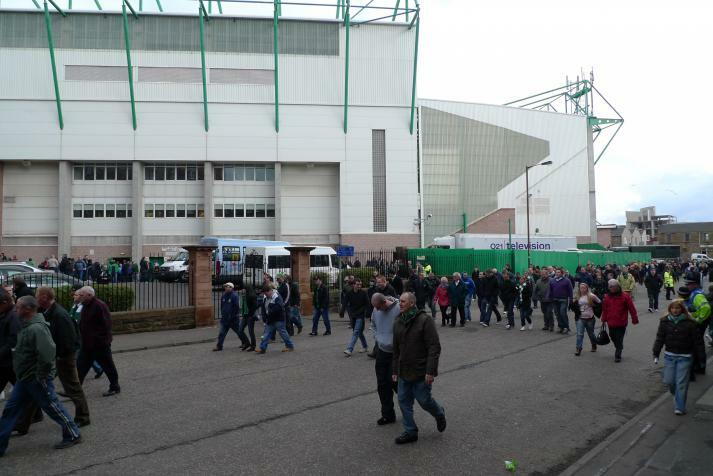 The walk to Easter Road took 20-25 minutes and once there I went to the ticket office to pick up my ticket in the West Stand. 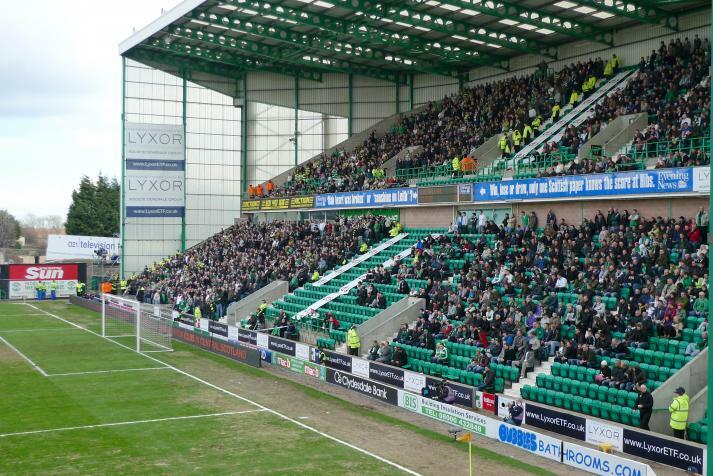 Hibernian are currently building a new stand on the east side meaning free football at the moment for the nearby residents. To be honest this wasn't the best of of games. Robbie Keane scored from the penalty spot to give Celtic the win by the only goal, much to the delight of the Celtic fans behind the goal. 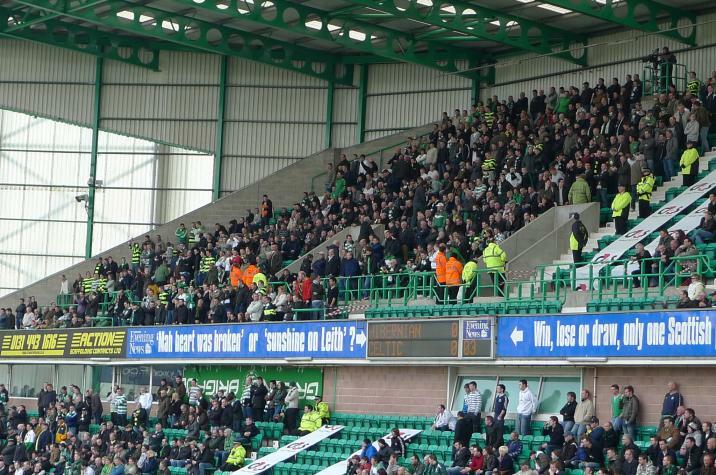 The away fans created a good atmosphere throughout the game, the home fans seemed quite hostile towards the visitors and most of the Hibs chants were anti Celtic more than pro Hibs. 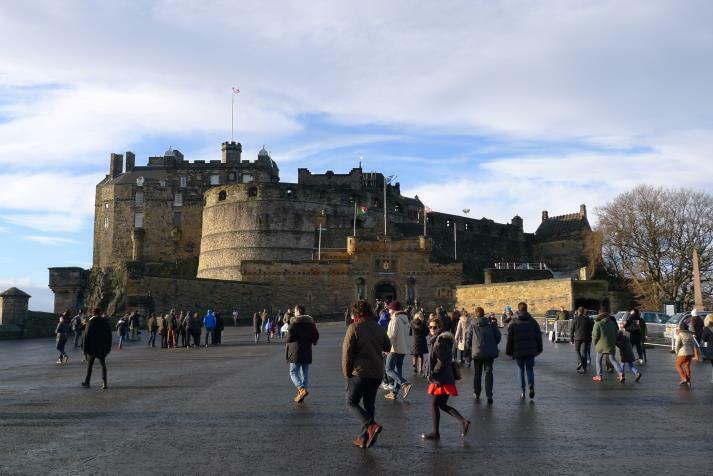 After the game I walked up to the magnificient Edinburgh Castle and I actually enjoyed that visit just as much as the visit to Easter Road. 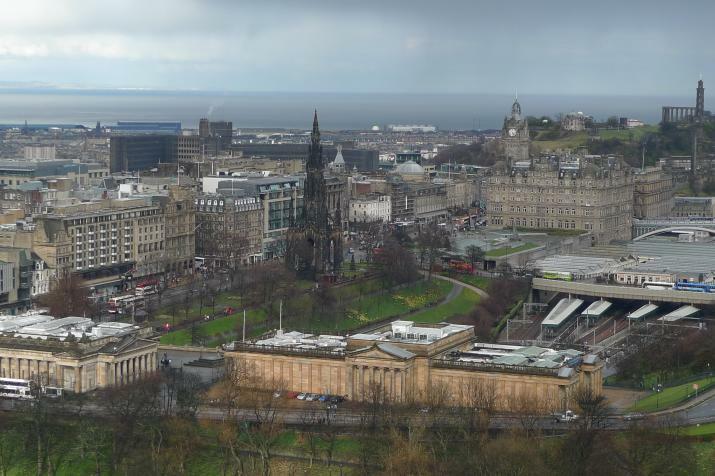 If you ever have the chance to visit Edinburgh, I would recommend combining groundhopping with castlehopping! 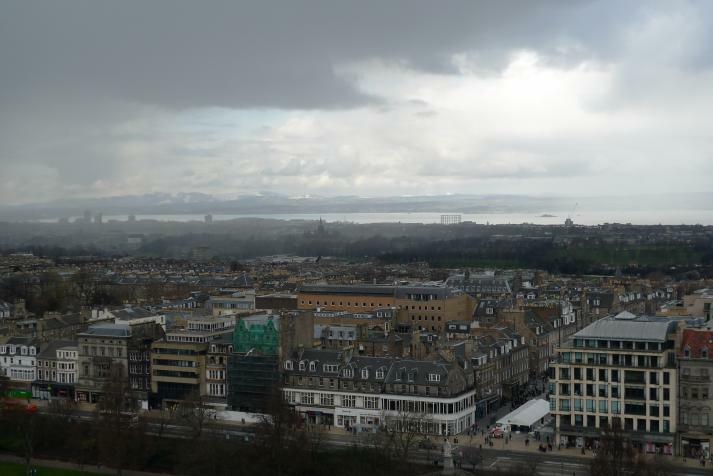 In 2010 I visited Scotland for the first time in my life. 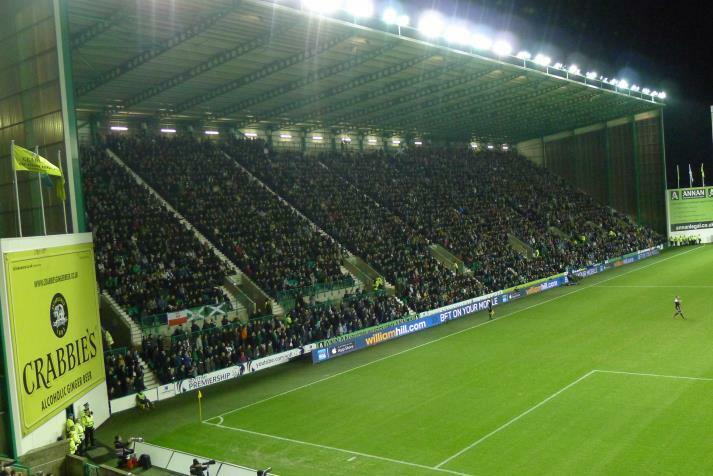 For that trip I was based in Newcastle over Easter and going to Edinburgh for Hibernian vs Celtic was an easy choice. 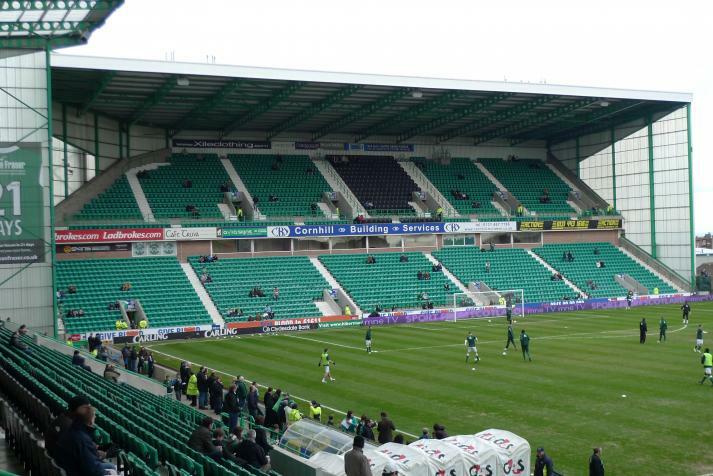 Easter Road was being rebuilt (new East Stand) in 2010 and the ground was 3-sided and I have always wanted to make a return trip, preferably for a derby. 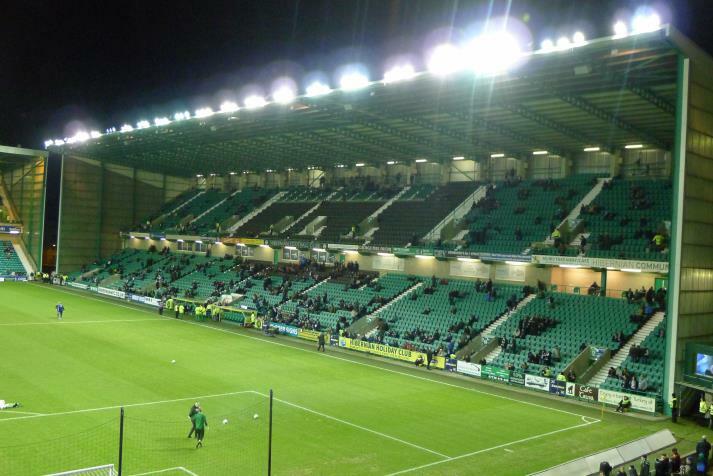 The second day of 2014 I went to Raith vs Dundee in the Scottish Championship in the afternoon and later in the evening I was finally given the chance to re-visit Easter Road. 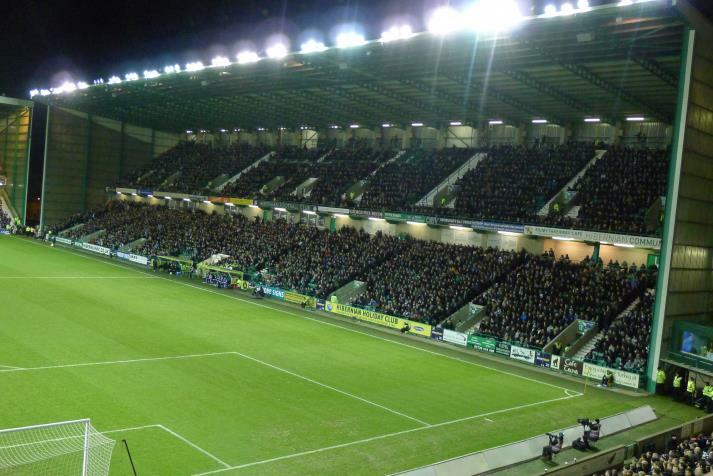 Hearts have had financial problems recently will most likely be relegated at the end of this season. 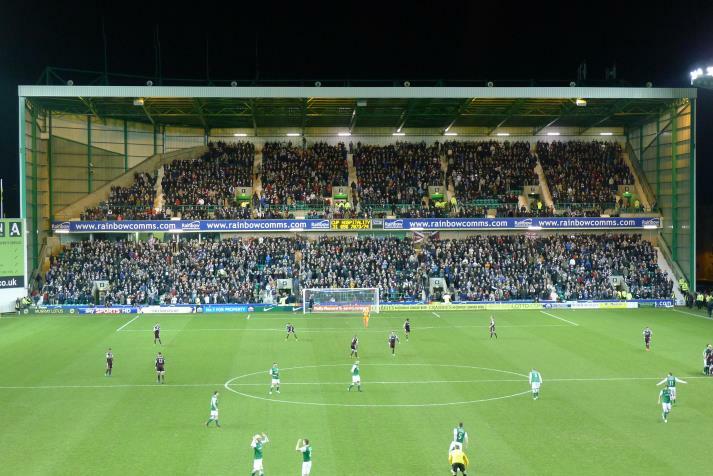 It might be a few years until the Edinburgh derby is played again, especially with Rangers being in the Championship next season, and fans of the two clubs recognized this and Easter Road was sold-out this evening. 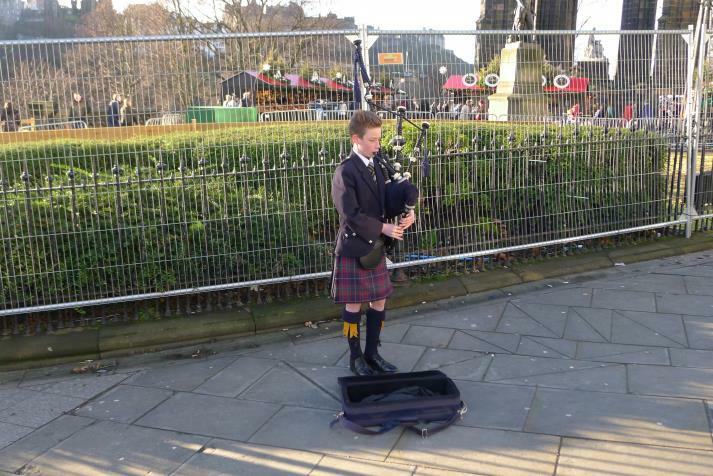 Jonathan and I arrived at Edinburgh Waverley around 18.30 and then made the 25-minute walk to the ground. 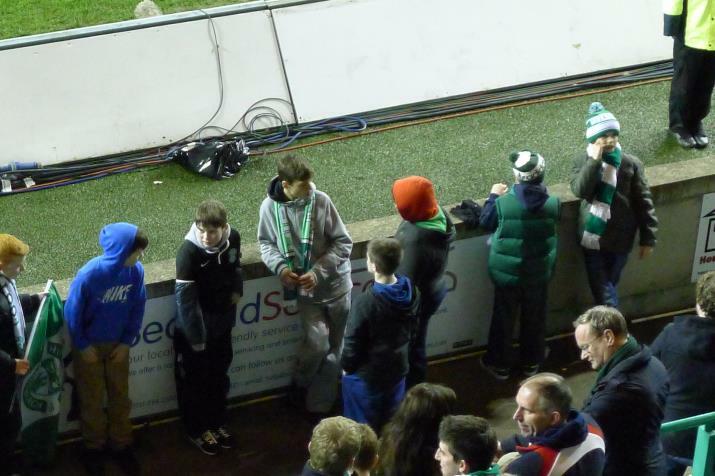 My seat was in the first row of the upper tier of the Famous Five Stand and to my surprise my seat was padded. 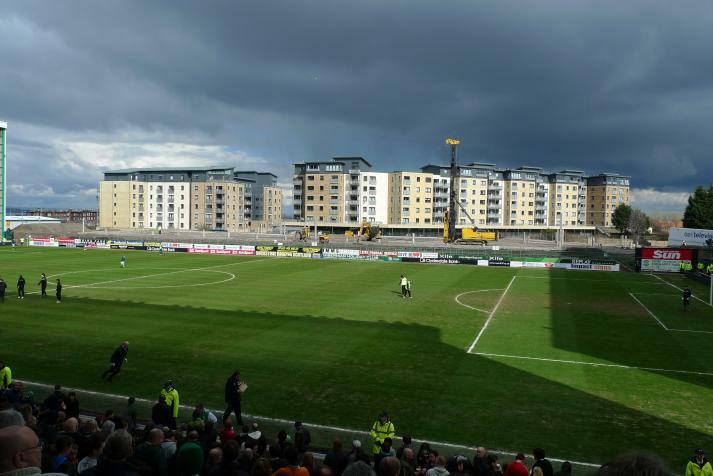 Anyway, an excellent view for this derby. 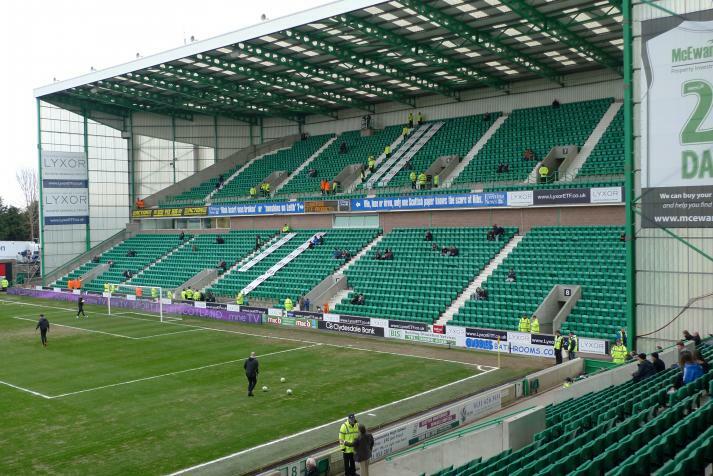 With the East Stand being completed the capacity of Easter Road is nowadays around 20 000. 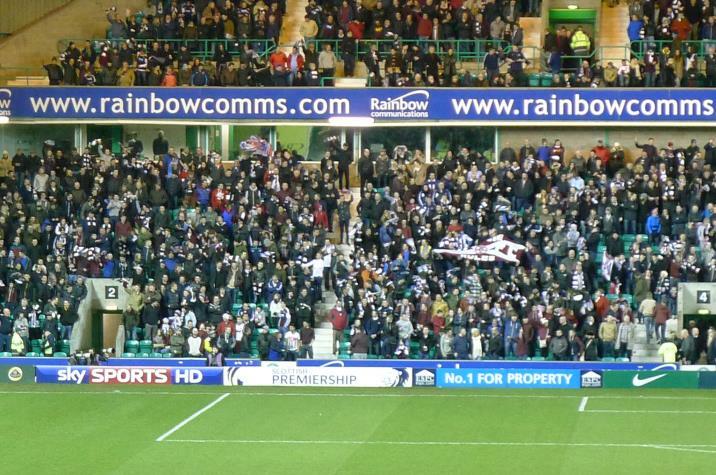 For this match Hearts were given the entire South Stand. 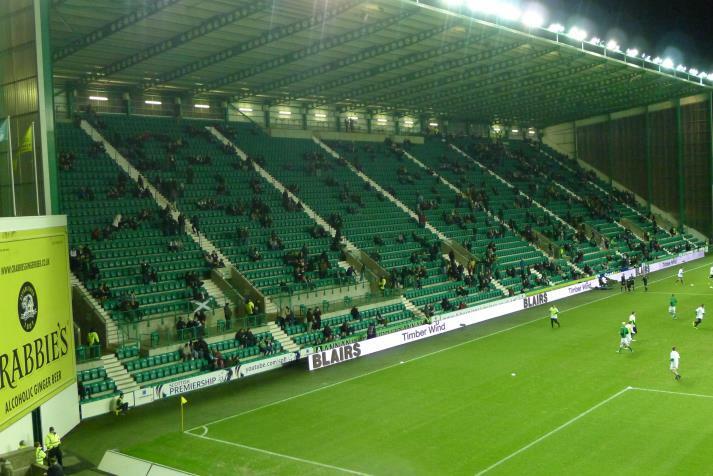 As kick-off approached the atmosphere inside Easter Road was getting better and better. Songs and chants through-out the 90 minutes and at times an electric atmosphere. It was 0-0 after a poor first half. 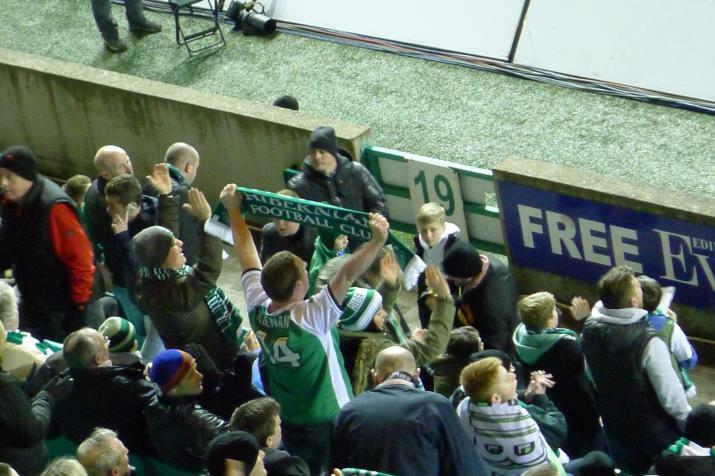 In terms of quality the second half wasn´t much better but then suddenly Hibernian scored, 1-0. Hearts didn´t create many chances during this derby but after a goal-keeping error they equalized, 1-1. 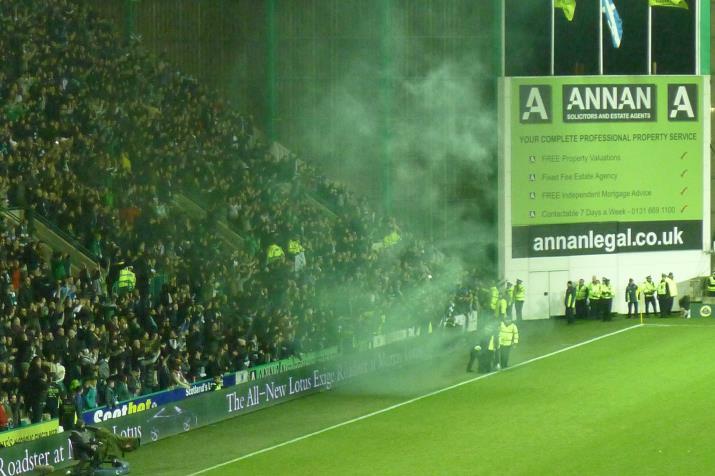 Some Hearts fans made it onto the pitch but were soon caught by stewards. 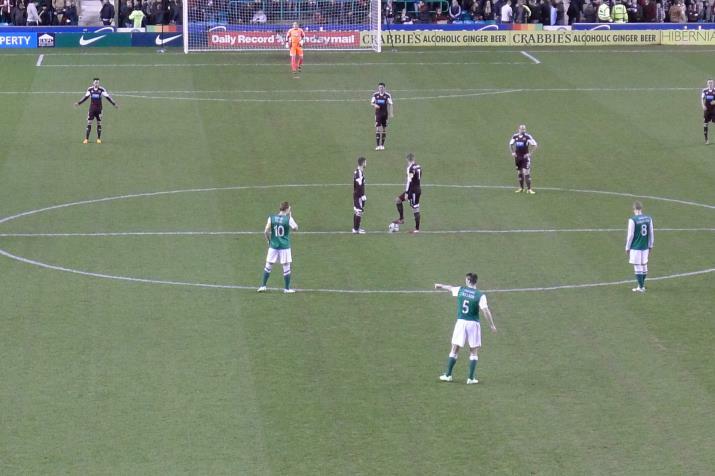 Then, with five minutes to go, Hibernian was awarded a penalty. I had a good view of the incident and it was not a foul. 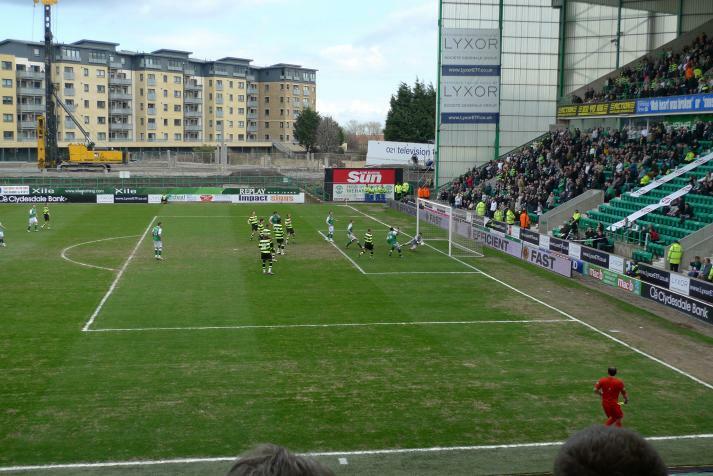 Right in from of me Hibernian scored the winning goal and won by 2-1. This was my sixth and last match on this trip and it was also the match with the best atmosphere. It might be a few years until this derby is played again but I highly recommend it if you have the chance. After the match Jonathan and I walked back to the city centre and said good-bye to each other. 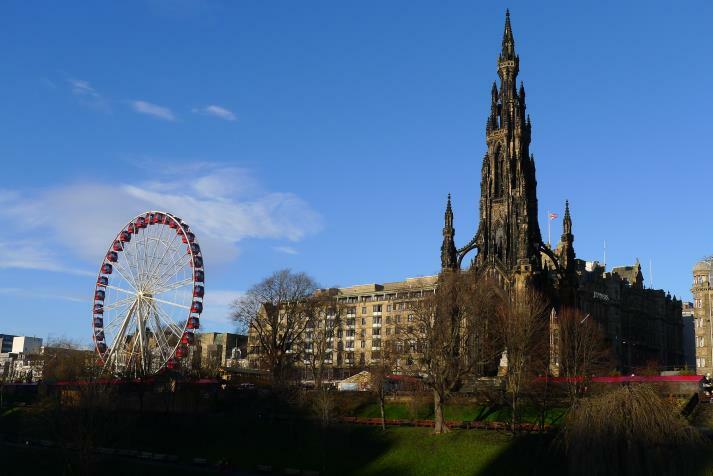 On Friday morning I then left Edinburgh and via London I made it back home. My next trip will be to Israel which should mean decent temperatures for a trip being in February.